Various efforts have been made to improve the safety of high-pressure gas cylinders for hydrogen or natural gas with high strength steel liners. Metal liners with high tensile strength have a safety concern, particularly with hydrogen gas or hydrogen generating environments. The hydrogen can permeate into the liner material, and make the material brittle, causing hydrogen damage. This study investigated resistance to hydrogen damage for two kinds of 34CrMo4 steel with different strength levels. Hydrogen was charged with the electrochemical method, and the material strength was measured by the small punch testing technique. Hydrogen concentration of the specimen was also measured for every testing condition, with various charging periods. The specimens with high tensile strength absorbed more hydrogen than the regular tensile strength specimens. The absorbed hydrogen caused internal damage of intergranular cracking and blistering. Material ductility at failure decreased, as the hydrogen concentration of the specimen increased. But the hydrogen concentration had virtually no effect on the strength of the materials with hydrogen. 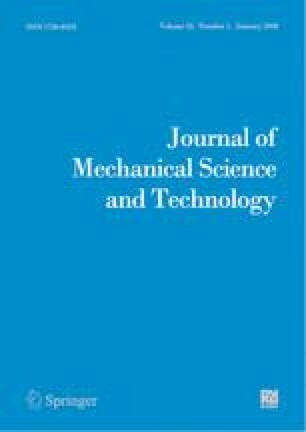 These results confirm that the susceptibility to hydrogen damage of the high tensile strength materials is much higher than that of the materials with regular strength. If the metal liner of a hoop-wrapped cylinder vessel of type II has high tensile strength, general corrosion at the liner surface can cause a hydrogen rich environment, and the cylinder can suffer hydrogen damage and embrittlement. Therefore, controlling the strength level under an optimal level is critical for the safety of a cylinder made with 34CrMo4 steel. Seok Jeong Yoon received his M.S. in Chemical Engineering from KAIST (Korea Advanced Institute of Science and Technology). He is currently a Vice President in Samsung Institute of Safety & Environment in charge of utility and chemicals team. His interests are plant risk management and chemicals safety. Ho Jun Lee received his M.S. in Mechanical Engineering from Chung-Ang University. He is currently a Project Researcher at KEIT (Korea Evaluation Institute of Industrial Technology). His research interests are hydrogen embrittlement and mechanical behavior of materials. Kee Bong Yoon received his M.S. in Mechanical Engineering from KAIST and Ph.D. from Georgia Institute of Technology. He is currently a Professor at Chung-Ang University. His research interests are high temperature fracture mechanics, failure analysis and risk based management of facilities in semiconductor industry as well as the conventional power and process plants. Young Wha Ma received his Ph.D. degree in Mechanical Engineering from Chung-Ang University, Korea in 2007. After that, he worked at Georgia Institute of Technology, U.S.A. as a postdoc. Dr. Ma is currently Principal R&PD Engineer at Doosan Heavy Industries & Construction Co. His research interests are application of high temperature fracture mechanics to residual life assessment of structural materials including anisotropic materials such as gas turbine blade. Un Bong Baek received his Ph.D. degree in Mechanical Engineering from Kyungpook National University in 2001. He worked at Georgia Institute of Technology, U.S.A. as a postdoc during 2002-2003. Dr. Baek is currently Director of Center for Energy and Material Metrology of KRISS (Korea Research Institute of Standards and Science). His research interest is mechanical behavior of materials under high pressure hydrogen environment.